RV insurance can protect your motorhome, travel trailer, camper and even your horse trailer. Here at Bassett Insurance Group, let us help you select the right coverage for your RV needs and get a great price at the same time. Call us today at 303-776-7676 to get your free insurance quote. • RVs that are for personal, recreational use can be insured for up to 250 days per year. This gives you plenty of time to travel south and enjoy some warmer winter weather or that extended vacation. • Liability coverage provides you with bodily injury and property damage coverage, medical payments, uninsured coverage and more. Coverage varies by state. 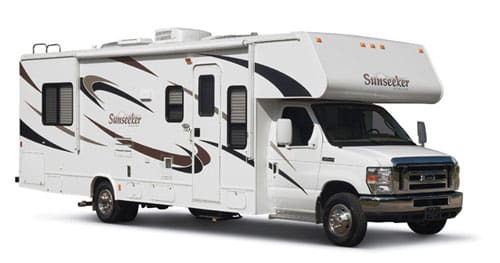 • Consider Vacation Liability coverage for when you stop driving and start using your recreational vehicle as a temporary residence. Some policies can include additional coverage for physical damage in Mexico. • Personal Effect Coverage provides replacement cost for damage or loss to items normally used with your RV when physical damage coverage is selected. • Some policies include Roadside Assistance, which has you covered 24/7 in the event of a breakdown or accident. Some will even allow you to upgrade the coverage to include lodging, transportation and meal coverage if needed. • Ask if customer assistance is available 24/7 to answer all your insurance questions. In the event you have a loss, the insurance companies we work with have skilled claims teams who will work with you to get your RV repaired and back on the road. • Other additional coverage can include: Accident forgiveness, pet coverage, diminishing deductible, and more. • Discounts can lower your premium. Ask us at Bassett Insurance Group whether you qualify for safe driver discounts, original owner discounts, package discounts and more. • You can save money if you insure more than one item with a single company, including your home, cars, motorcycles, classic cars and boats. It will also simplify your life. Bassett Insurance Group is independently owned and locally operated to handle your insurance needs. We focus on Longmont and offer affordable and reliable insurance choices all across Colorado.